Works In Progress Wednesday. It is a prefect fit for today. I am packing for a retreat this weekend. 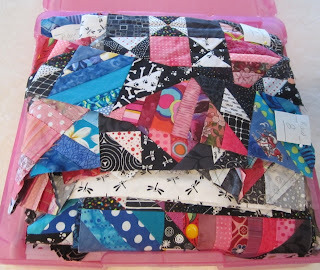 I have added this post to The Needle and Thread Network Blog and Freshly Pieced WIP Wednesday. 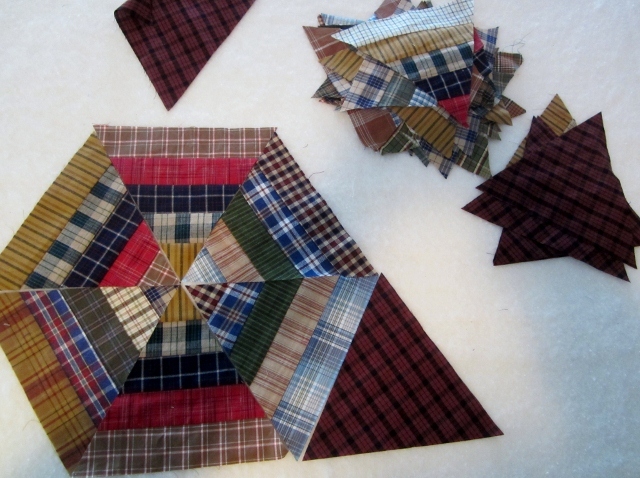 First is Adam's plaid quilt. I started it last winter and thought Adam and I would do it together, but he want just me to work on it now that all the fabric and the pattern is picked. I worked on it just a little so far. 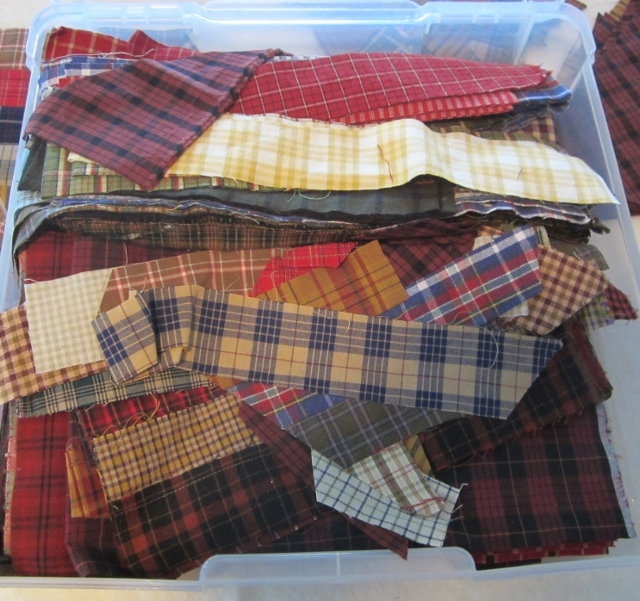 All the cutting is done and now I need to sew lots of strip sets. A very good job for retreat. I will bring it home to put together on the design wall. I am sure there will not be room for a design wall at retreat. Next up is Orca Bay. It is the mystery quilt of Bonnie Hunter's last Nov 2011. I hope to get the last few rows together and get most of the top done. The pattern is in her new Book String Fling. Just a note she is doing another mystery this Nov again. I may have to do it again. 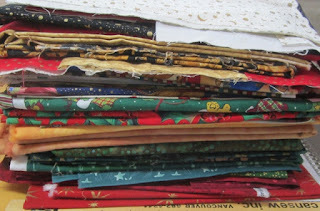 I have to make at least one table runner maybe three or four. 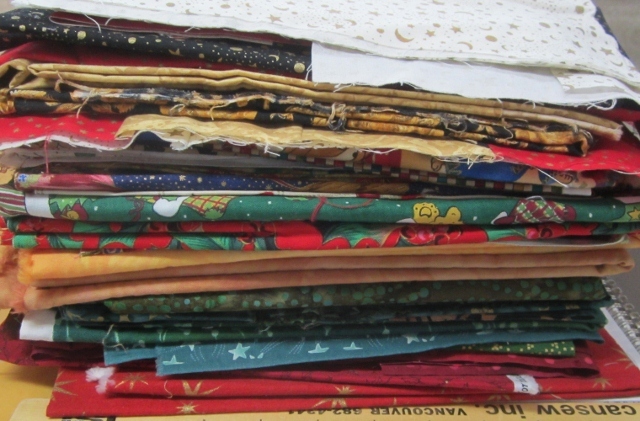 So I am taking Christmas fabric with me. 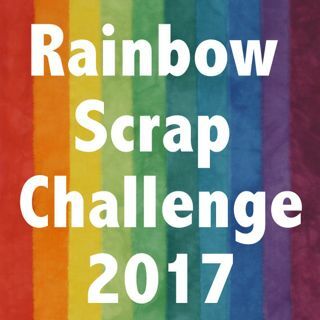 We will see if I get started. My family thinks I need to make a runner and mats for the table in a Christmas theme. They like the pumpkin mats I made last week. 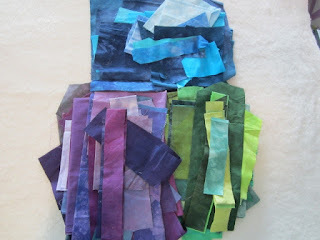 I am also thinking of a new project using my hand dyed fabric. This is just the blue, purple and green, I still have to dig out Pinks and oranges. You will have to wait to see what I do with this fabric. 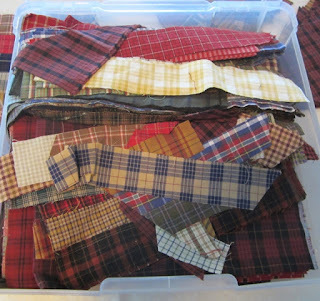 Love the plaids , this is going to be a great quilt . Enjoy your retreat , sounds like fun. Love your hand dyed fabrics! Have a great time at your retreat. Sounds like you'll have very little time to sleep on retreat! LOL! Have a great weekend! All great projects, love how your spiderweb in plaids looks so different from mine.